The Modi Sarkar has been installed in power from last three weeks or so (May 16, 2014). While there is lots of hope from this government by sections of society, there are other types of fears which have started getting actualized and the consequences of that are being felt with great amount of horror. After the morphed images of Bal Thackeray and Shivaji were uploaded on social sites a well planned attack on Muslim minorities was orchestrated in Pune. In this attack the rampaging mobs not only paralyzed the city, they also attacked mosques and torched at least 200 public and private vehicles. The culmination of this was the public lynching of an IT professional, Mohsin Shiekh, an IT manager from Sholapur, a resident of Pune. He was brutally killed by a mob of Hindu Rashtra Sena, led by Dhanajay Desai. This is ‘Hate crime’ of worst order. While this act has shaken the minority community and civic society groups have condemned it, the Prime Minister of the country has chosen to keep mum on the issue for a long time. Maharashtra Government is treating it as a law-and order problem, which defies all the logic. The overall observation is that a large section of the minority community is feeling terrorized ever since the Modi Sarkar has come to power. In Pune region, from last two weeks or so the minority homes and prayer halls are being vandalized and a section of supporters of the ideology of ruling party is feeling emboldened to no end. 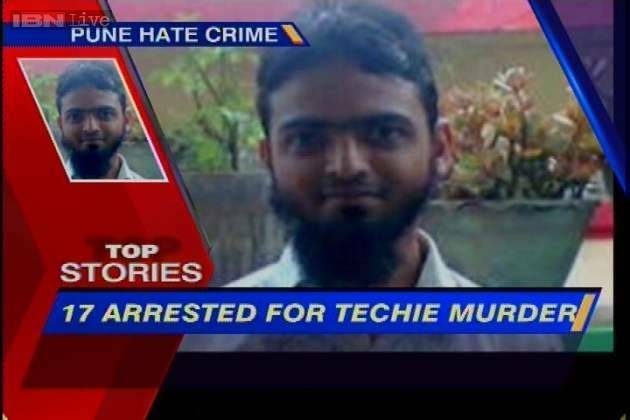 It is in this backdrop that murder of the Pune techie, who was wearing the Muslim identity has come as a warning signal for those who want to strive for communal harmony, national integration and the affirmation of the rights of religious minorities to live with equal honor and dignity. This incident has intensified ripples of fear leading to many from the minority community shaving off their beards. In some ways this seems to be repeating the experiment in communal divide brought in by communal forces in UP, Muzzafarnagar. One recalls that a fracas of road accident was given the expression of ‘violation of the honor of our girls’, ‘love jihad’ and a video clip was uploaded by BJP MLA. This led to the horrific violence and the consequent polarization of communities along religious lines and a massive victory of BJP in UP. Amit Shah has been credited with the victory in UP and now in the wake of forthcoming Assembly elections in Maharashtra on one side the state BJP unit wants same Amit Shah to come here to Maharashtra and on the other the forces like Hindu Rashtra Sena have unleashed the anti minority programs like the heinous crime against the Muslim techie in Pune. 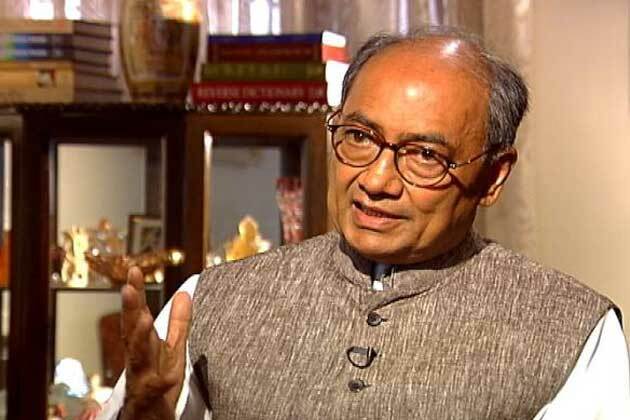 Communal violence and crimes have been the real polarizing factors in our society. Even in the preceding Lok Sabha elections, while apparently it seems that the agenda of development has given the victory to Mr. Modi, the fact is that communal polarization was working in the background. That’s how Modi brought forward the issue of article 370, Bangladeshi immigrants and the pink revolution. How much role this polarization played in the general elections is a matter of conjecture. All said and done communal polarization has been a major tool in the hands of communal parties. In Gujarat we saw the polarization brought around the Godhra train burning leading to Gujarat violence in which over 80% of those who got killed were the one’s from minority community. This violence brought in the polarization and the BJP government which was tottering till then became firmly planted in the seat of power. It’s true that the issues which lead to communal violence-polarization keep changing over a period of time, while some of these continue to haunt in an ongoing fashion. In colonial India the major issues related to taking a procession with music band in front of a mosque, the issue of pork being thrown in mosque and beef in the temple were the other major ones. In Godhra, it was a accidental burning of a train propagated as terrorist attack, in Mumbai it was the victory celebration over Babri demolition. While some of these issues are kept in the forefront, the others issues’ related to temple destructions in the past, alleged cruelty of Muslim kings, the jazia, the myth of ‘spread of Islam’ by force provide the backdrop. The issues like conservatism of a threatened community, the Uniform civil code (polygamy), Article 370, misrepresentation of increasing Muslim population have been firmly planted in the ‘social common sense’. The attempt of historians and social activists to prove and propagate that all these are not correct, the truth lies somewhere else, remains on the margins of society, accepted by only few critical people and those giving a deeper thought to social issues. The well oiled machinery of RSS has ensured that the myths and distorted version of history and lop-sided version of Muslim community today; continue to be the part of main stream thinking. What Noam Chomsky said, ‘Manufacturing Consent’, was in the context of state, here the ‘social common sense’ manufactured by an organization of religious (Hindu)-nationalism is made the core part of ‘social common sense’, which in turn forms the basis of communal violence and thereby the polarization of communities along religious lines. To add up to the existing armory of communal forces, the social media has come in handy as its reach has gone far and wide. In Muzzafarnagar, the video clipping from Pakistan where a mob wearing Muslim identity is mercilessly beating two thieves, was used. The communal forces presented it as if the Muslim mob is beating Hindu boys. Similarly Bajrang Dal activists in the past were caught while putting beef in temples in Hyderabad and hoisting Pakistan flag in Karnataka. With social media coming in handy now the outfits like Hindu Rashtra Sena are taking advantage of that and are trying to create the divisive atmosphere. One notes painfully that with Modi coming to power the overall aggression of outfits like Hindu Rashtra Sena and authorities as such has worsened. In Kerala a college student and his associates were booked for putting Modi’s picture along with Hitler and Osama bin Laden. In Goa one person was interrogated for hours for a Facebook post which was critical of Modi. Even before elections the ‘Book Police’ of RSS, in the form of Dinanath Batra succeeded in getting pulped the scholarly work of Wendy Doniger by Penguin. Now Orient Blackswan on its own has decided to withdraw the book by Megha Kumar ‘Communalism and Sexual Violence: Ahmadabad Since 1969’, and the History classic, ‘From Plassey to Partition: History of India’ by Sekhar Bandopadhyay. In all these violations of the freedom of expression, and the brutal Hate Crime by Hindu Rashtra Sena, the way the Prime Minister casually referred to this issue volumes about the shape of things to come. While in Maharashtra the Assembly elections are forthcoming, such acts will definitely be feeding in to the electoral calculations of communal forces. It is mandatory that state Government has to rise above its opportunist inactivity to take the divisive forces head on. This needs to be supplemented by the proactive work to promote amity amongst religious communities. The peace march (15th June) taken out in Pune by social groups is a very positive step to bridge the communal divides. What is also needed is to weed out the misconceptions, myths and biases about minority community; what is needed is to respect the diversity and plural nature of our country. It is time that such repressive atmosphere created by the electoral victory of BJP is combated against by all social movements and elements committed to plural, democratic, Liberal India. Ram Puniyani was a professor in biomedical engineering at the Indian Institute of Technology Bombay, and took voluntary retirement in December 2004 to work full-time for communal harmony in India.